Moore Place care home in Esher have held a street party themed event to celebrate the Royal wedding this weekend. 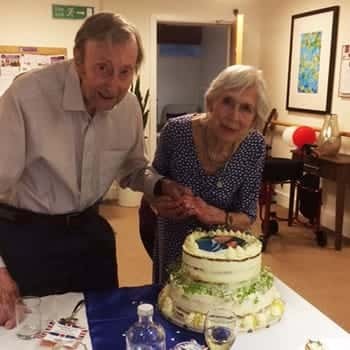 Staff and residents were excited to see Prince Harry and Meghan Markle get married on Saturday 19 May and to mark the special day decorated the home with flags, balloons and bunting. Sue Stroud, Customer Relations Manager at Moore Place, said: “Everyone here at Moore Place wanted to celebrate the special occasion together and so we decided to throw a street party of our own with plenty of food, drinks and of course music and merriment! "We even had a special 'wedding cake' for everyone to enjoy - decorated with a picture of the happy couple." For more information about Moore Place please call 01372 478 200.